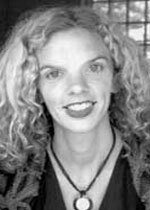 Christina Davis’ poems have appeared in American Poetry Review, Jubilat, The May Anthologies (selected by Ted Hughes), New Republic, Pleiades, Paris Review and other publications. She is the recipient of a Witter Bynner Fellowship (selected by U.S. poet laureate Kay Ryan) and residencies from Yaddo and the MacDowell Colony. A graduate of the University of Pennsylvania and the University of Oxford, she is currently the curator of poetry at the Woodberry Poetry Room, Harvard University. She is currently completing her second collection of poems, Preludium.